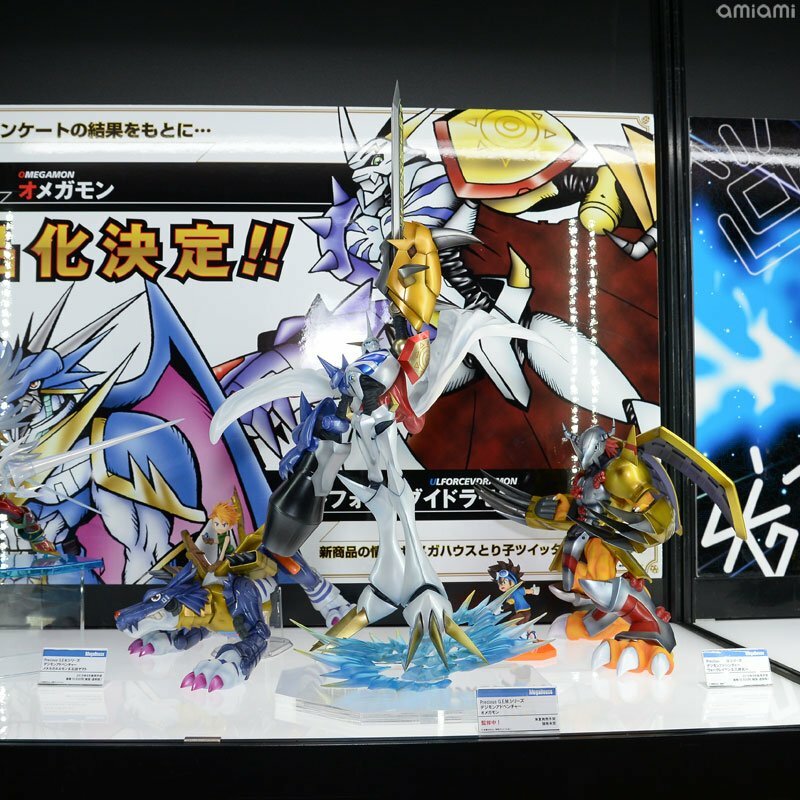 On top of the Mochimon plush display, there is a GEM display at Wonder Festival 2019 Winter. 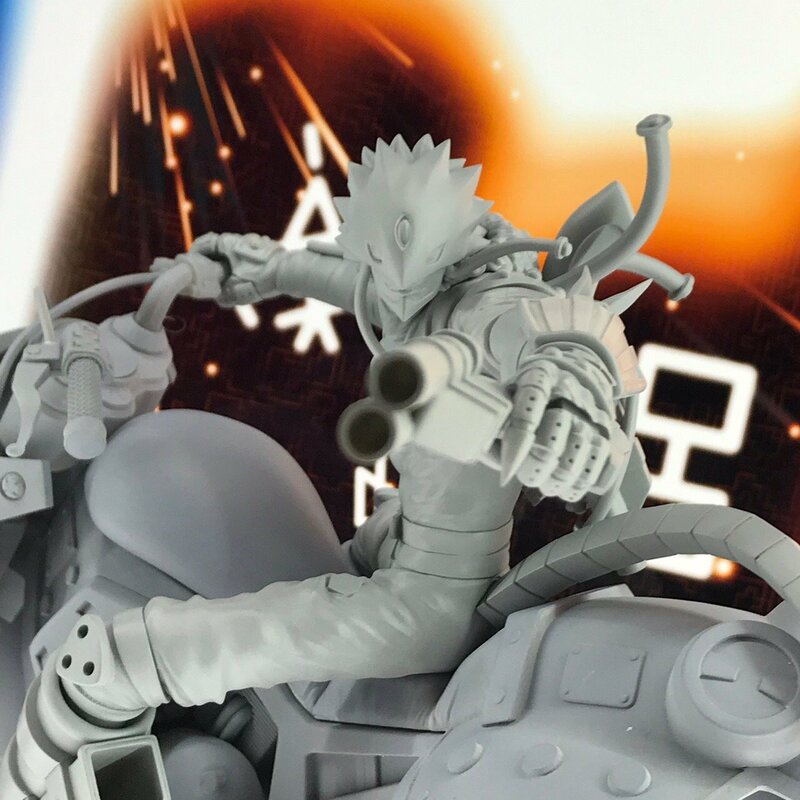 There aren't any figure reveals this time, but we do get more looks at upcoming figures. 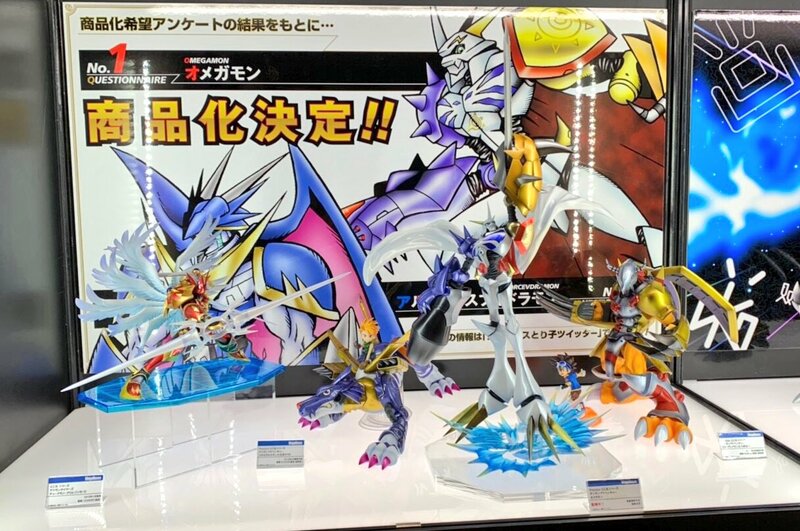 From the first display case, we get another look at Omegamon, on display with the WarGreymon and MetalGarurumon Precious GEM Figures, plus the Dukemon Crimson Mode GEM figure. 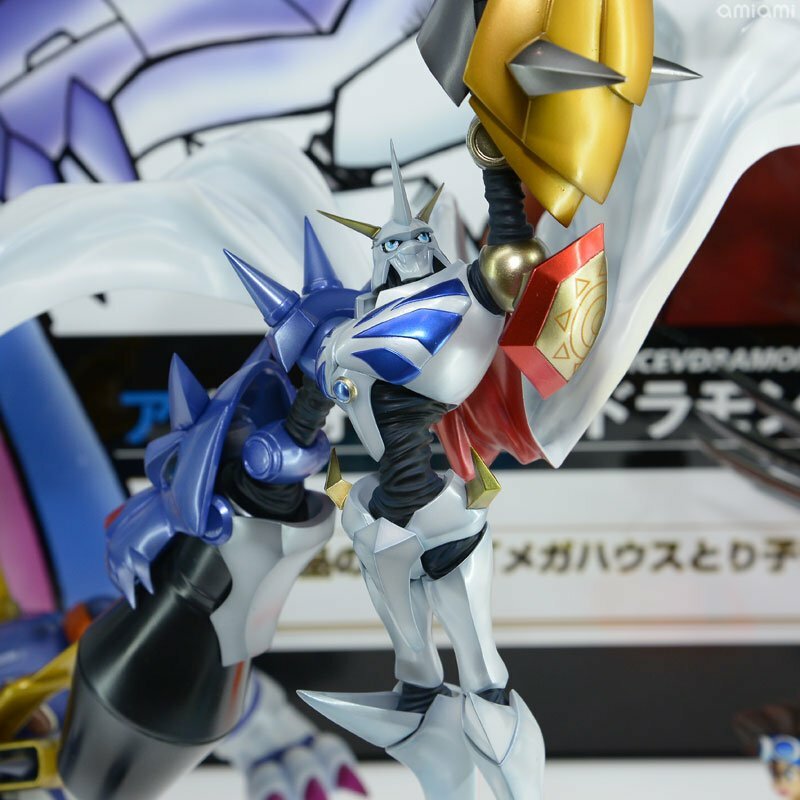 With the other 3 figures having been out for some time, the focus being on Omegamon in the photos isn't a huge surprise. 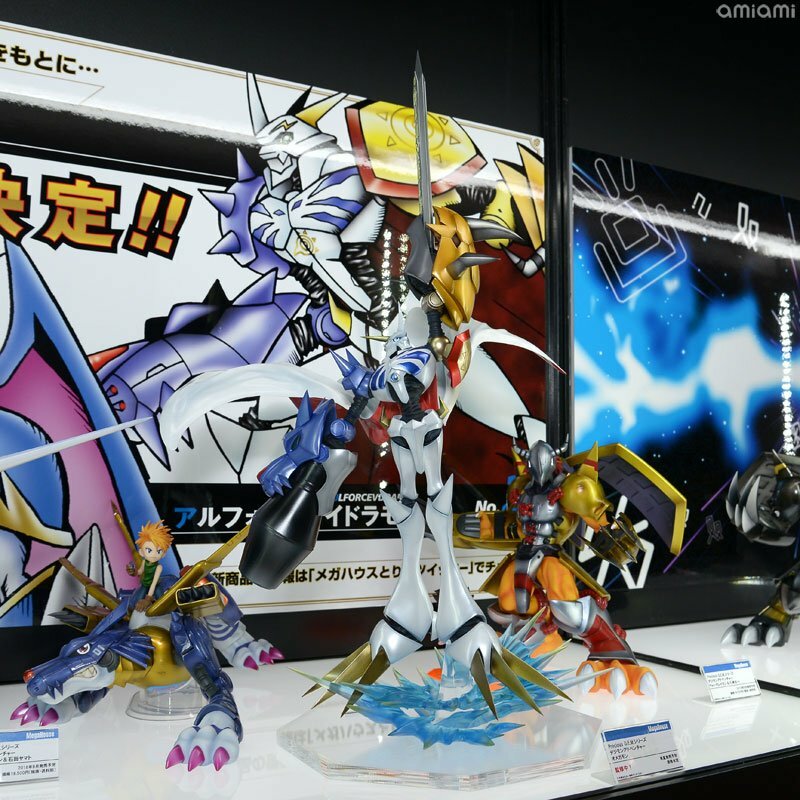 Then in the second case, we get BlackWarGreymon and Beelzebumon & Behemoth. 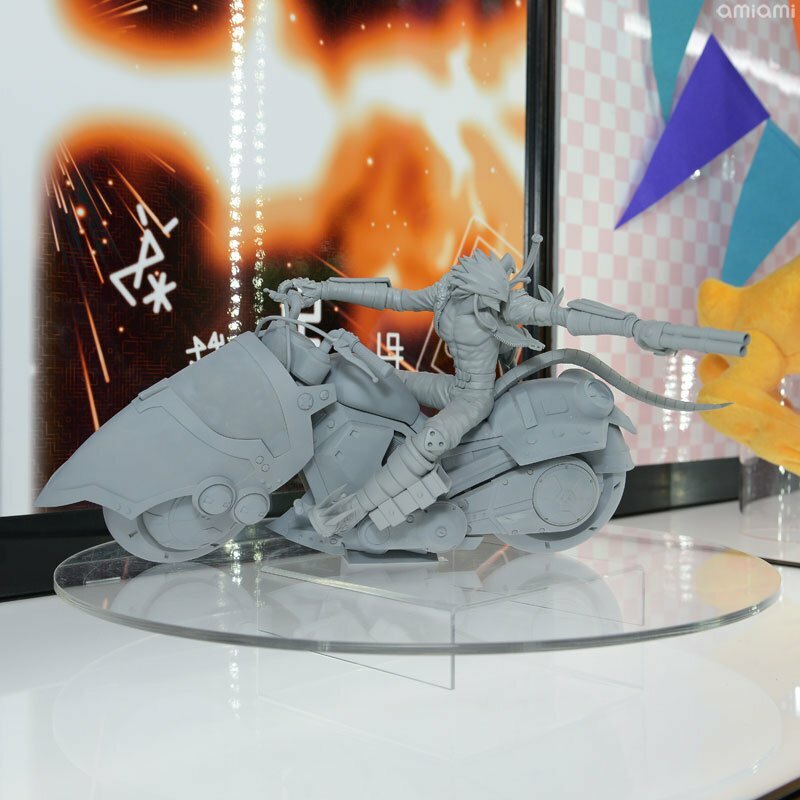 With detailed press photos of BlackWarGreymon having been released a few months ago, we get more of a look at the unpainted Beelzebumon prototype, which gets some really good photographs. 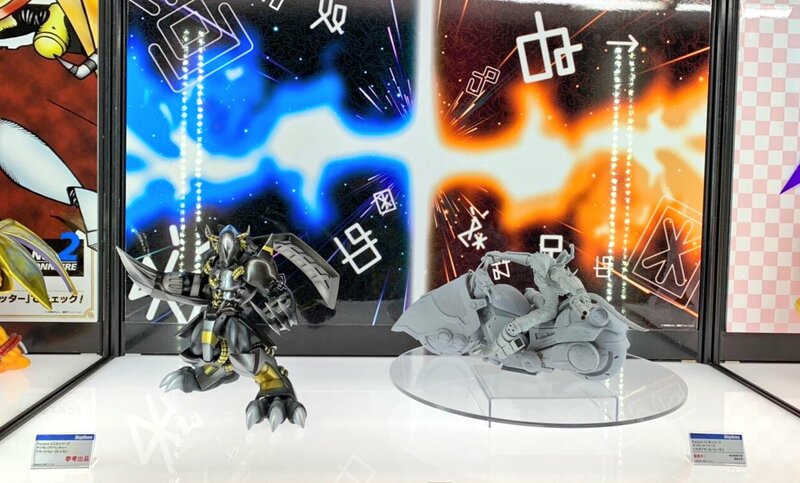 BlackWarGreymon is already available to pre-order in the US from Crunchyroll. 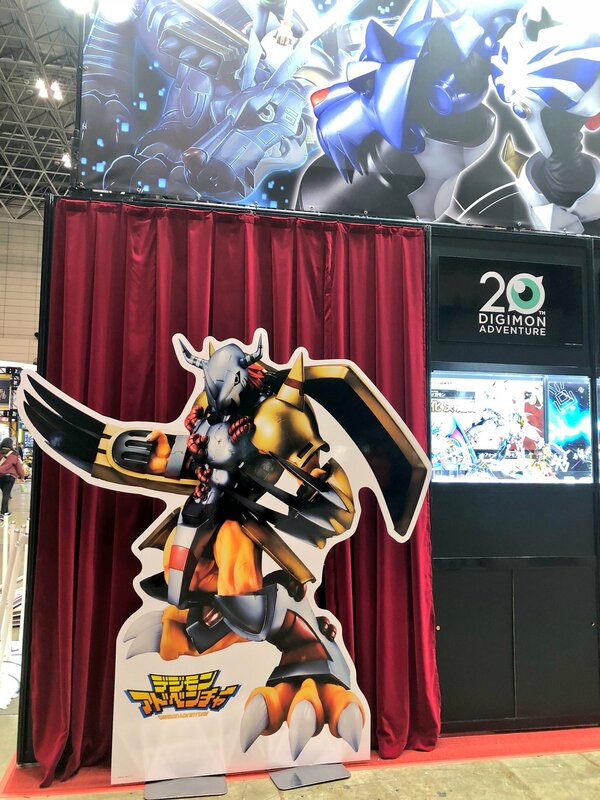 A WarGreymon standee, to help catch the eye and for people to take photos with. 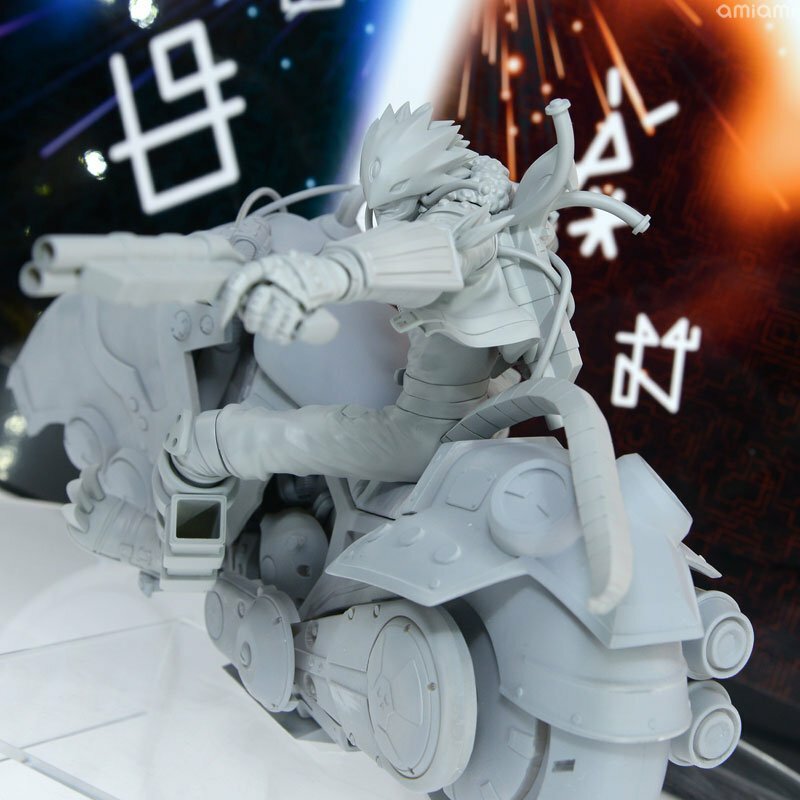 Thanks to Megahouse (1, 2, 3) and amiami (1, 2) for the photos. 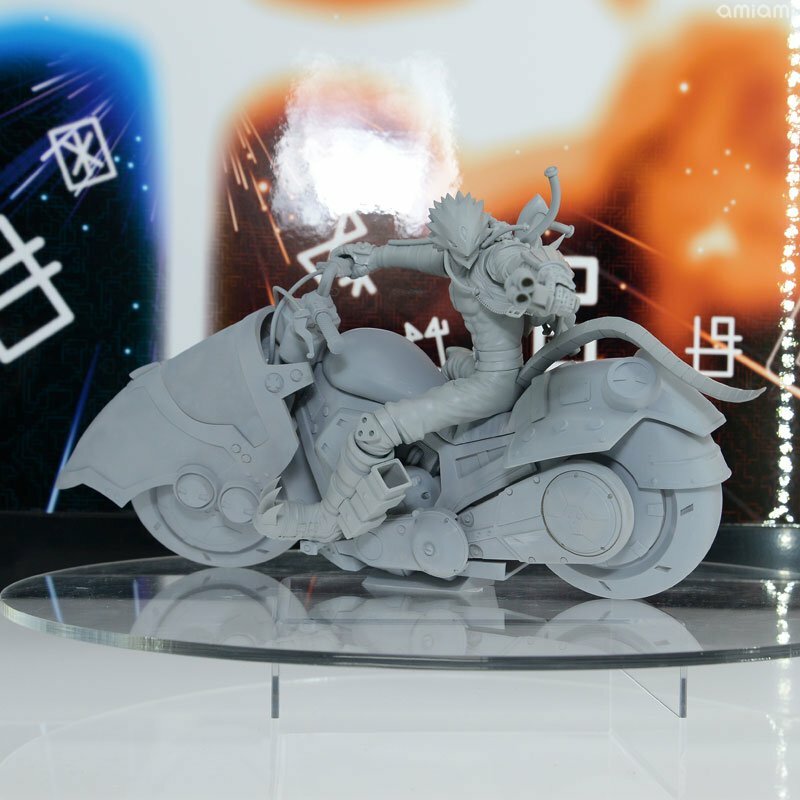 Previous updates for these figures can be found here, here, here, and here. Help With the Will out out, click the Donate button and subscribe/donate so we can improve the site. 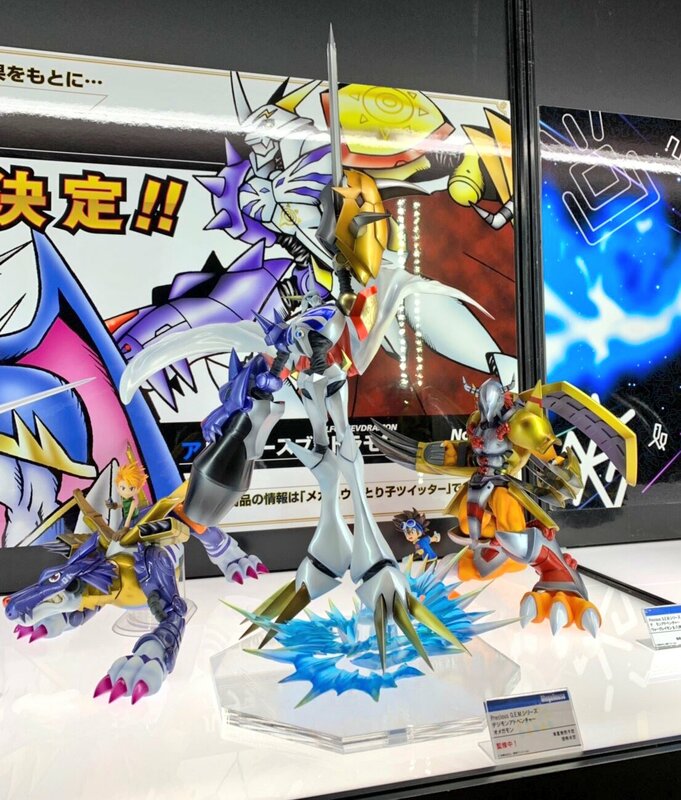 All times are GMT -7. 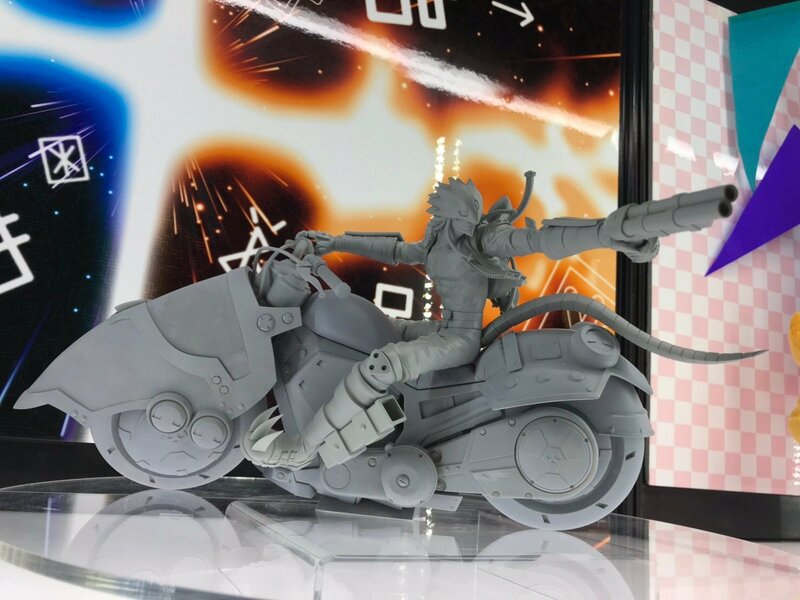 The time now is 11:17 AM.